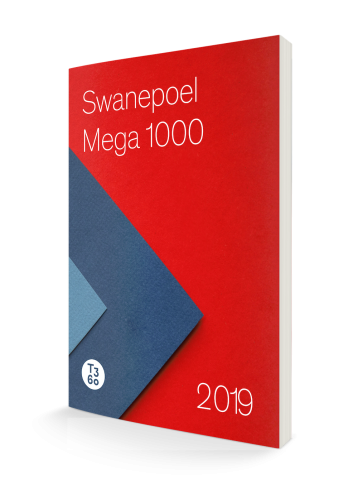 Read the press releases below, or view the video from Stefan Swanepoel, CEO, T3 Sixty on the release of the second annual Mega 1000. NRT and HomeServices of America retain top slots with Compass soaring to #3. The rankings that are listed in the 2019 Swanepoel Mega 1000 are for the U.S. residential real estate brokerage industry with data is sorted by sales volume. The list also includes transaction sides and agent count. Ranking lists include Top 20 Brokerage, Top 1000 Brokerage, Top 20 Franchisors, and Top 20 Holding Companies. Franchisors Keller Williams, Re/Max, and Coldwell Banker Real Estate lead the top 20 Franchisors. Titans Realogy Holdings Corp, Keller Williams, Re/Max and HomeServices of America dominate rankings. New ranking! Ranked by membership count for state associations and local associations. New ranking! Ranked by membership count for Multiple Lisitng Services as of December 31 , 2018.